With the advancement of science and technology, more and more sophisticated automation technology is used in the field of die cutting of automatic rule benders. At traditional manual steel rule die benders have slow processing speed, low processing precision, low manual efficiency, and high cost. 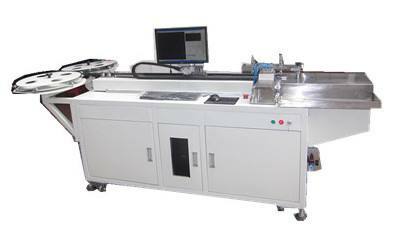 At the same time, automatic steel rule die bender is urgently needed to replace the manual steel rule die bender. However, it is not blind investment in blade bending machines. It should be noted that the input costs of blade bending machines are also relatively high and they should be based on their own production volume to customize their own suitable blade bending machines. For example, if a die making factory has only 30,000 dies for a month, then if he wants a new set of blade bending machine, it is very difficult. It is with this in mind that attention should be given to second-hand blade bending machine market. If you mostly provide the die for the printing factory, you need to change the cutter die frequently. It is also possible to buy second-hand blade bending machines at low prices to the printing factory, directly modify the die board, which is convenient and quick, greatly saves you time and money, and facilitates the transformation of your hand-made die making factory in the future.